Sometimes I cannot believe my luck. Pondering on where to start the research for my next novel, I suddenly remembered how much I had loved watching The Irish RM on TV. I was fairly sure it was the right period and remembered how affectionately my father had spoken of the novels of Somerville & Ross. So off I went and downloaded a few of the books. I could not believe it. What better source of contemporary writing could there be; set in the south of Ireland and in the timeline of my current work in progress! Of course the novels are dated but the level of detail, from a research point of view, is pure gold. What surprised me most was the writing; the descriptions are often lyrical and the underlying humour had me chuckling away. I had to find out more about Edith Somerville. She was born on the 2nd May 1858 in Corfu, daughter of an army officer. A year later, they returned to the family home at Drishane, Castletownshend, Co. Cork. 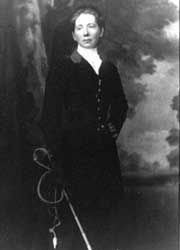 Edith’s family was well connected, being acquainted with the likes of W.B. Yeats and Lennox Robinson and related to George Bernard Shaw, Lady Augusta Gregory and Sir Arthur Conan Doyle. Both ladies had already published, but over a year after they first met they began work on their first novel together, An Irish Cousin. 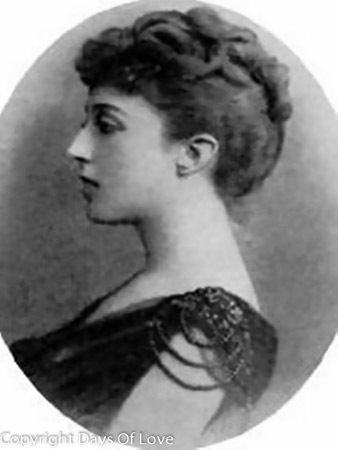 Violet adopted the pseudonym ‘Martin Ross’, using her surname and the name of the family seat in the West of Ireland. 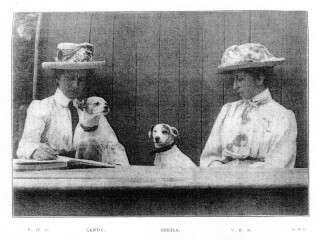 At the time the ‘Shilling Shocker’ was fashionable and they first approached writing in this vein, but as their relationship progressed their artistic ideals changed. They were delighted when An Irish Cousin was accepted for publication. Their second novel, Naboth’s Vineyard (1891) received good reviews and they began to take themselves seriously. Their full-length novel, The Real Charlotte, was published in 1894 but only after they had overcome all of the difficulties of being single ladies, existing purely on pin money and being expected to fulfil all of the demands of their respective families. The novel was well received but they were urged to write short stories by their agent. The huge success of their Some Experiences of an Irish R.M. in 1899, led to a demand for more stories of the same kind. 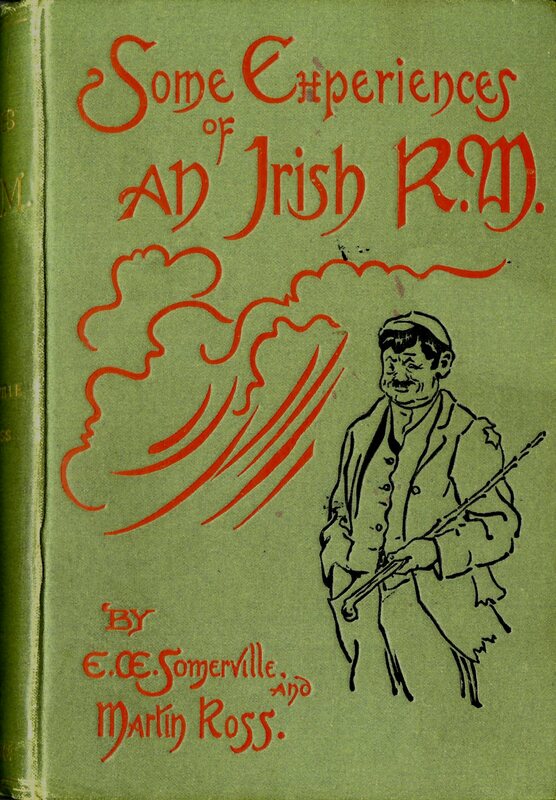 They published two further sets of these, Further Experiences of an Irish R.M. in 1908 and In Mr Knox’s Country, in 1915. Then devastation struck; in 1915 Violet died of a brain tumour in a Cork nursing-home and Edith, shattered by grief, determined to write no more. She was in London still recovering from the shock of Violet’s death when the Easter Rising of 1916 broke out. On 9 May she wrote a letter to The Times, blaming the British government for the state of affairs in Ireland. After that she tended towards Irish Nationalism, and as an adept musician at parties she specialized in Irish tunes and Nationalist songs. Around this time she turned to spiritualism and believed she could communicate with Violet’s spirit through séances. She was convinced that Violet wished her to go on writing. Thereafter, she insisted on using the pseudonym of ‘Somerville and Ross’, as she believed that the spirit of her dead partner was actively assisting her. She was to go on to write five further novels and various other works in the course of the next thirty years. She was awarded the degree of Doctor of Letters by Trinity College Dublin in 1932. In the same year, W.B. Yeats invited her to become a member of the Irish Academy of Letters and, nine years later, the Academy bestowed on her the Gregory Gold Medal, its most important literary award. 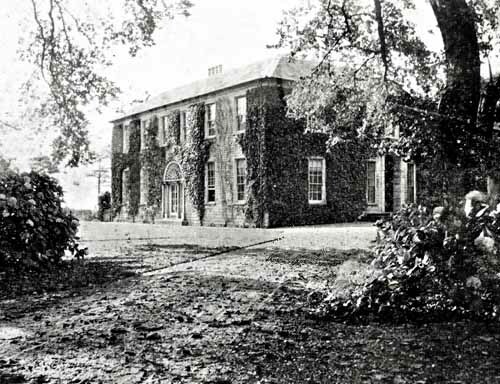 She lived on at the family residence, Drishane House, until 1946 and then moved, with her younger sister Hildegarde, to a house in the main street of Castletownshend, which bore the name ‘Tally-Ho’, the name which the cousins had used for the residence of Charlotte Mullen in The Real Charlotte. She died in 1949 at the great age of ninety-one.